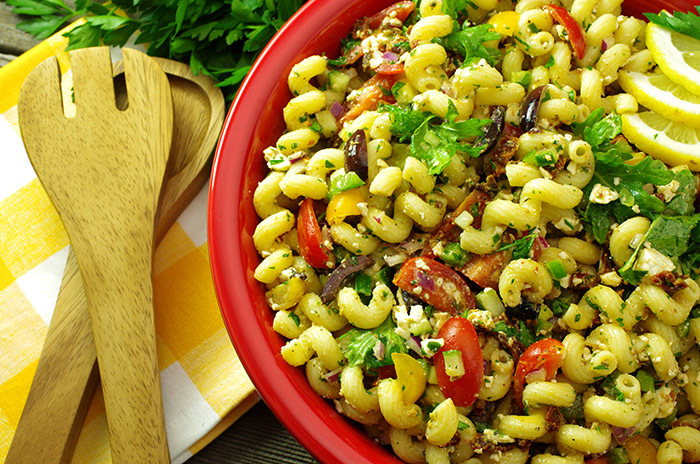 One of our favorite salads, Greek salad, marries with another favorite, pasta, in this garden-meets-grain salad. 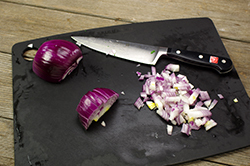 Red ripe tomatoes, cucumbers, green pepper, and red onion carry the traditional Greek-style salad forward. 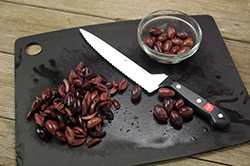 The Kalamata olives, quartered, provide a spike of saltiness and a nice color contrast. 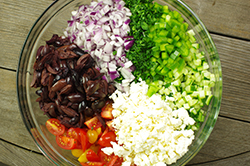 Feta cheese completes the Greek-style profile along with a lemony vinaigrette dressing. 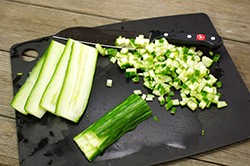 Choose a pasta that offers a lot of nooks and crannies for holding the finely diced vegetables and dressing. It’s a favorite at our house and bound to become a favorite at your home, too. 1. WASH the vegetables, pat dry. 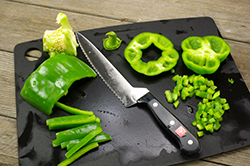 CUT the tomatoes and olives into quarters, and the cucumber, green pepper, onion into a fine dice. MINCE the parsley. PLACE in a large bowl. 2. 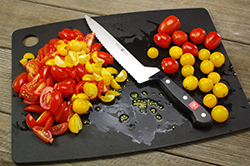 DRAIN the oil-packed sun-dried tomatoes well, chop finely, add to the chopped vegetables. 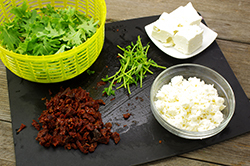 CRUMBLE the feta cheese and set aside in a separate bowl. 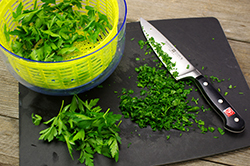 WASH the arugula, remove any large stems, also set aside in a separate bowl. 3. 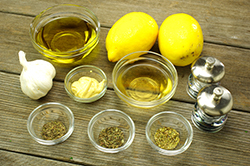 MIX all the dressing ingredients together in deep measuring cup or bowl. 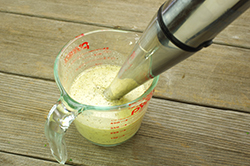 BLEND with an immersion blender, or WHISK vigorously. 4. DRAIN the pasta well in a colander, transfer to a large bowl. While still warm, TOSS the pasta with the dressing. 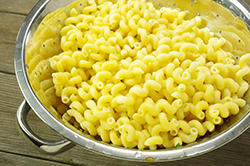 The warm pasta will absorb the wonderful dressing flavors. 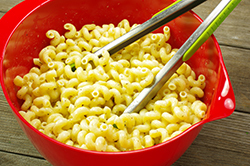 Allow the dressed pasta to cool – (cool pasta is important for the next step). 5. 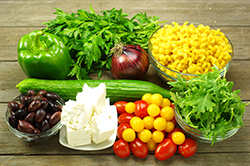 ADD the prepared vegetables (tomatoes, olives, cucumber, green pepper, red onion, parsley), the sun-dried tomatoes, feta cheese, and arugula to the cooled pasta. TOSS to combine. STORE in the refrigerator until ready to serve.